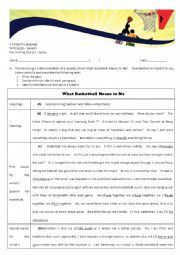 A set of notes including a sample writing titled ´What Basketball Means to Me´ and some features of a good speech. 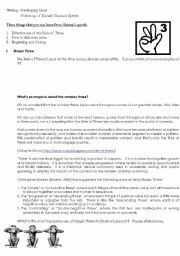 A pre-writing task. 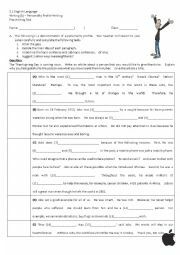 Given the sample writing, students will think about what makes a good profile, and that includes the use of rhetorical questions, magic 3, topic sentences and famous quotes of the person the student is writing about. 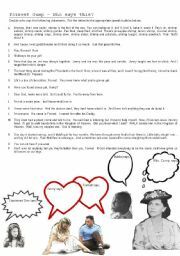 A worksheet set to require students to anticipate what happen in the movie. ESL classes may find it useful. With examples for teachers´ reference. Forrest Gump - Who says this? 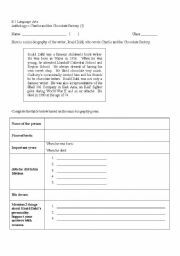 This worksheet can help students recall the details of the movie again. A worksheet that students can do before watching this action-packed Disney superhero video. Enjoy!